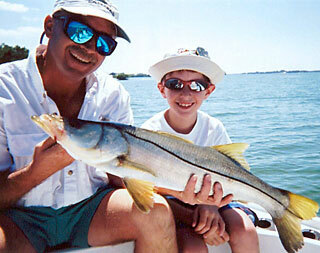 Flats Fishing Charters Tierra Verde, FL - For Fishers of All Ages! Crystalline and glassy waters beckon you aboard a shallow bottom boat onto the flats of Tierra Verde, FL. With an experienced guide, you'll be right in the action of flats fishing. The only that will be flat about your day with Monster Charters is the sandy bottom below the waters. Relax and enjoy yourself on a bright sunny day among the islands of Tierra Verde. Monster Charters provides you with a seasoned captain, fully equipped boat, and all the fishing gear you'll need on a flats fishing charter in Tierra Verde. You just have to step aboard! 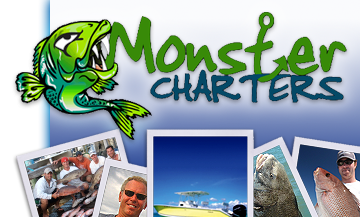 Contact us today to book your next flats charter with Monster Charters.